Our board of Trustees (currently five in number) ensure the Trust’s assets are managed and enhanced responsibly, distributing income in a manner that balances the needs of today while maintaining a legacy for the future. Trustees are elected by the Rotorua voting district on a triennial basis. The next election will be held in November 2019. Stewart was educated in Rotorua before attending Victoria and Otago Universities. He eventually returned home and from 1971 until his retirement in April, 2018, served as a dentist in Rotorua. Stewart is a Life Member of the NZ Dental Association and is a former President of that Association. During his time in Rotorua, Stewart has held governance roles in education, health, marae administration, outdoor concerts, community funding, youth activities and prisoner rehabilitation. Stewart has been a Justice of the Peace (JP) since 1996. 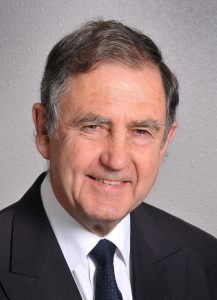 In 1997 he received the Paul Harris Rotary Scholarship Award and was appointed to the New Zealand Order of Merit for services to the community. From 2001 to 2010 Stewart chaired the Lakes District Health Board and is currently Chair of QE Health Community Trust, Chair of Mahi Tahi Akoranga Trust, Deputy Chair of Nga Pumanawa e Waru Trust, and a Trustee of Manaaki Ora Trust. Tamati Coffey is a household name in New Zealand, but his heart is firmly placed in Rotorua with his family, with his business, Ponsonby Rd Lounge Bar and his two dogs. At the September 2017 General Election, he was elected as the Waiariki MP. He is of proud Te Arawa heritage and is actively involved in iwi matters and his whanau land blocks, and is a trustee of the Hinemihi Marae. Tamati has been a patron for Rainbow Youth for many years with a passion for helping disadvantaged young people get ahead. 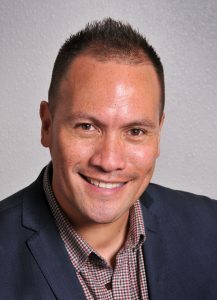 Tamati was elected by the Rotorua community to the board of the Rotorua Energy Charitable Trust in 2016 and currently sits as the Deputy Chair. He has undertaken the portfolio of Education which is in line with his values of understanding that education has the transformational ability to lift people up for the better. 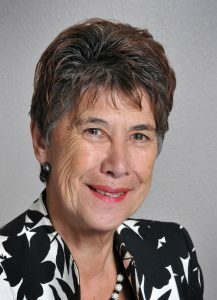 Jo-Anne was the Rotorua Trust Deputy Chairman from 2004 to 2016. Having worked tirelessly in the Rotorua community for the past 35 years, local business-woman, Jo-Anne knows it well. A former director of the NZ Symphony Orchestra, Jo-Anne is well known for her contribution to the arts. 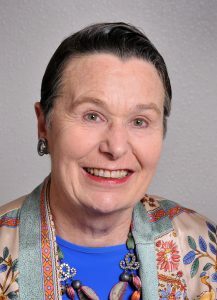 She is currently Chair of the Rotorua Competitions Society and the New Zealand Aria Trust, a founding trustee of the Rotorua Arts Village and a trustee of the Rotorua Museum Centennial Trust. She is also renowned for her work with the Riding for the Disabled and the Life Education Trust where, over the past 20 years, she has promoted fun and novel ways of raising funds for local children. Jo-Anne is a past Chairman of Save the Children Rotorua, representative on the BOP/Gisborne Lotteries Community Trust Grants Board, and the BOP Business Development Board. Jo-Anne enjoys tending her two acre garden where, with her husband Joe, she hosts many fund-raising functions each year. Born in Blenheim and raised and educated in New Plymouth, Jo-Anne has three children and seven grandchildren all living in Rotorua. Sandra Kai Fong has now been elected for a third term. Previously Sandra spent eight years as a trustee on BayTrust, where she chaired the Investments Committee. Sandra is also the chair of Philanthropy NZ which provides thought leadership and practical help for everyone with an interest in giving through effective philanthropy and grant making. 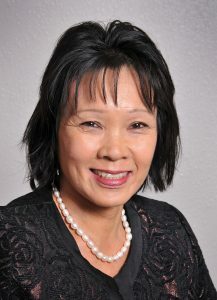 Sandra is the trust’s representative on the Mercer Advisory Committee. Sandra previously practiced law and specialised in civil and commercial litigation. She was a partner in the Rotorua law firm McKechnie Quirke and Lewis for 22 years. Sandra currently works doing event management and sponsorship on contract, and has an online business selling merino fabric all over the world. Sandra is married to Tim Rigter, the General Manager at Red Stag Timber and they have two children Katie who is now an engineer and Marc who is studying for a PhD at Oxford University. Merepeka, Te Arawa, is a Rotorua Lakes Councillor, Lakes District Health Board member, Chair of Te Pou Matakana the North Island Whanau Ora Commissioning Agency, Trustee of Te Mana o Ngati Rangitihi Trust a Post Settlement Treaty Entity, Trustee of Te Roopu Taurima an organisation providing residential care for those with physical and intellectual disabilities, and appointee to the Maori Reference Group (Ministry of Social Development) on the Elimination of Family Violence. All these positions reflect the breadth and depth of skills and knowledge, in a wide range of areas, she brings to the Rotorua Trust. She has worked in the public, private and NGO sectors in Switzerland and New Zealand. Merepeka says the Rotorua Trust has a proud grants history that has contributed to the growth and development of community groups, organisations and people. She is future focused, knows challenges lie ahead and is prepared to ask “what can we do differently”. The board has two sub-committees to assist with the operation of the Trust. Monitoring the systems of corporate governance. Establishing and reviewing the remuneration policy for the Board. Reviewing the Trust Manager’s performance and remuneration. Identifying, assessing and managing business and organisational risk, and assisting the Board in the discharge of its financial reporting responsibilities. Providing a formal forum for the Board, auditors and staff. Agreeing with the external auditors on the nature, scope and cost of the audit. Ensuring the Board meets financial reporting requirements and that external reporting of information is of a high quality.